Dear Parents, Maybe Using Tech To Keep Your Babies Entertained Isn't The Best Idea? Growing up as a millennial, I’ve been living my early life differently from how other generations spent theirs today. When I was young, I didn’t have much entertainment other than the TV and the actual outside world of roads and playgrounds. I didn’t depend on a phone to entertain me 24/7. 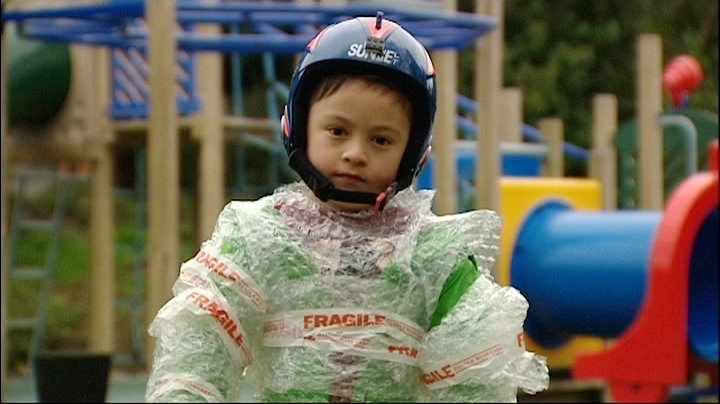 I went out and played, I mixed around with the other local kids in the neighborhood. I kicked a football around with nothing but my bare feet, I cycled and fell off more times than I could count, I even snuck out to go another park with my friends to hang out and drink forbidden fizzy Coke. My childhood was one spent in activity and exploration, learning important lessons outside of my home among my peers and friends. I learnt how to keep myself entertained, to apply my mind and how to do things for myself. If you go to any family restaurant now, take a good look at the families around you as they eat. There are babies and children happily staring at and tapping away on phones; I think that’s a horrifying trend. 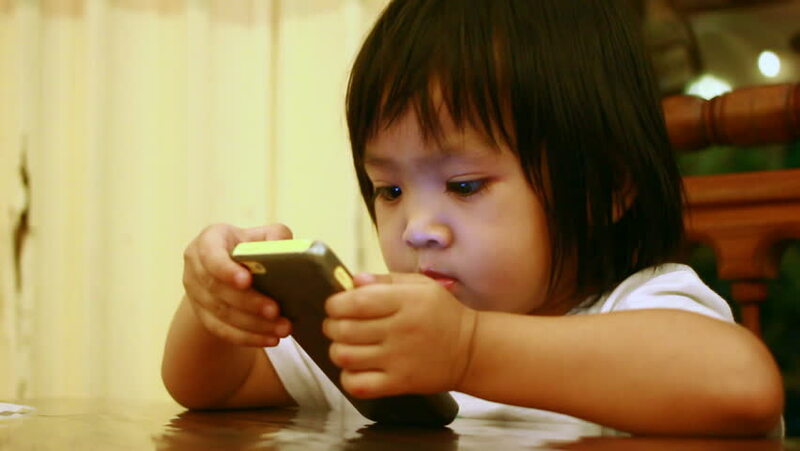 I was born right before the era of the smartphone’s emergence, but even though I acknowledge its merits, I see too many parents relying on it as a surrogate babysitter. Putting a phone in a baby’s hands might stop them from making any distracting noises, but it will only snowball into a bigger problem later on. It’s easy to adopt new habits when young, and being addicted to technology is definitely a bad one. 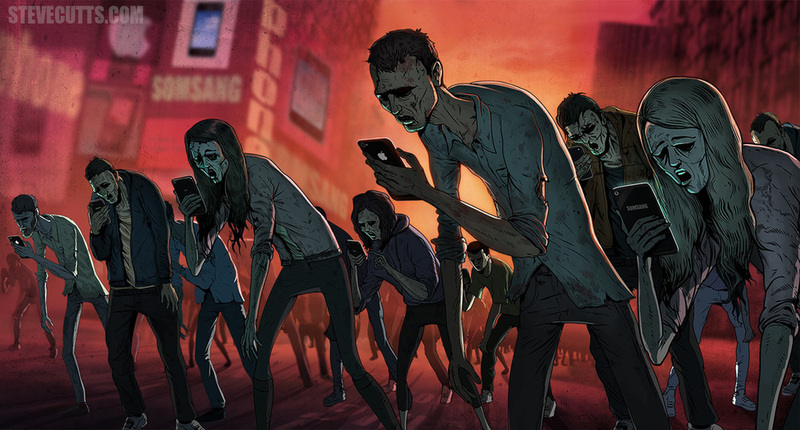 Technology has no doubt made life more comfortable today, but people are quick to abuse this benefit and slave away on their precious screens, becoming like mindless tech-zombies. No one seems to want to go outside anymore. I used to sneak away from my house when my babysitter wasn’t looking. In present times, there are now some guardians who actually want their kids to go outside but it’s the kids themselves that refuse and prefer the comforts of their bed, while engrossing themselves in their screens. The habit and addiction has gotten so bad that kids can’t part from their devices. You might argue that technological knowledge is a key skill, but children are developing a mentality that their devices are more fun than actual social contact. Kids will prefer the artificial companionship their devices provide rather than their friends or family, which will mean they will see less value in spending time with the ones that actually love them. Social interactions are important to help us mature and grow. Electronic devices, though they carry their own benefits, cannot stand in for that. This stunting of their social development will serve them ill as they age. Despite our digital connectivity, human-to-human relationships are key to not just future career success but also personal happiness. While I used to pretend to be a soldier and played pretend war with my friends, kids today don’t need to exercise their creativity and imagination to pass the time. Why bother putting in the effort of creating a made-up world when they can just turn to the TV or laptop to do it for them? I’ve played football in the heavy rain, in a muddy grass field sometimes without shoes on. I learnt how to dust off my falls and accept my bruises. Kids these days? They won’t even step out in a drizzle. I have a friend who’s 16 years old now and has never played outside of his house at all because of both his over-protective parents and his attachment to his computer. Now, he’s afraid of jumping over small drains and has never ridden a bike before. 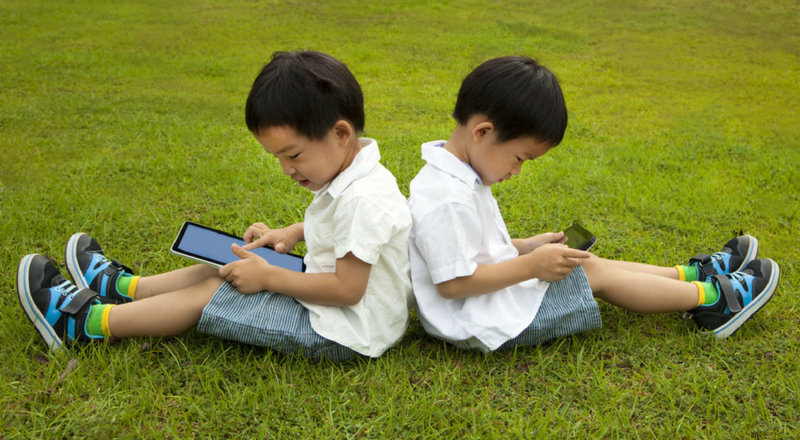 Electronic devices have the potential to teach kids new things more effectively. But there must always be limits set. I’m not calling for a blanket ban on kids using electronic devices. However, parents should wise up. A few moments of peace is a sorely inadequate exchange for all the benefits your kid should be gaining from interacting with others at the meal table, and even at home.